Spider-Man’s powers are strength, heightened senses, web-shooting, wall-climbing, and, apparently, reincarnation. 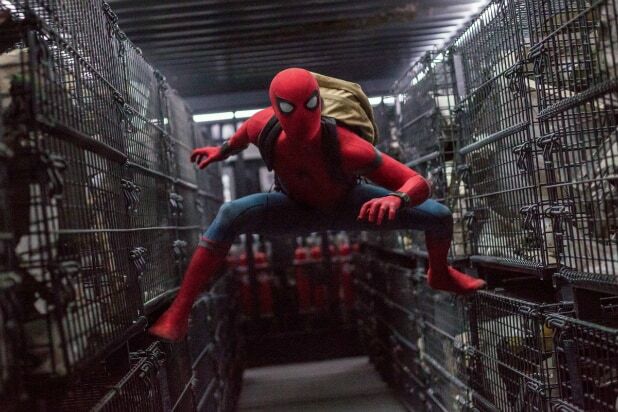 After three successful Raimi-Maguire movies that aren’t as old as you think, and two Webb-Garfield installments that were shiny, glitzy placeholders, the Marvel Universe has, like a thirsty arachnid, pulled one of the brand’s oldest, beloved trademarks back into the interconnected fold with “Spider-Man: Homecoming,” a sixth movie that really wants to be your first and favorite. The most obvious novelty to this version of the webslinger’s story is a hammered-home reminder that while Peter Parker is a legitimate threat to any supervillain, he’s also only 15 years old. To that end, Tom Holland’s casting is a real plus, his fresh-faced buoyancy, hyper earnestness and general teen-ness a far cry from the too-old-for-high-school vibe of Maguire and especially Garfield, and placing this “Spider-Man” firmly in John Hughes territory. And if you take that weird-science nerd humor (spread across a refreshingly color-diverse cast of young actors), cross it with a more cartoonish action sensibility, and add the adventurous spirit of Disney’s ’60s-era live-action comedies, you’ll have some idea of how director Jon Watts (“Cop Car”) and his sextet of screenwriters approached “Homecoming.” It’s like a sugar-fueled adolescent itself: usually you’re on its hopped-up wavelength, but sometimes you’re just taking a breather to admire the energy level. Part of that instant fizz is that the origin story is (thankfully) backstory, since Holland was already introduced last year in “Civil War” as a brash Queens vigilante recruited to fight alongside the Avengers in Berlin with a tricked-out Stark-manufactured suit. After an amusing kickoff that gives Parker’s golly-jeepers viewpoint of that movie’s main fight sequence (and its buildup) as a narrated video diary, the main action starts eight months later. Not that high school doesn’t offer its share of high drama and roiling emotions, too. A unintended reveal forces Parker to turn best friend Ned (appealing newcomer Jacob Batalon) into his lone Spidey confidant, a secret the Avengers-worshipping Ned may be too awed by to handle. (“Do you lay eggs?” he asks.) Parker’s crush on smart, beautiful academic decathlon colleague Liz (Laura Harrier, “4th Man Out”) is also all-consuming, as is the pressure of the upcoming decathlon finals and the school’s homecoming. Parker’s ready-made excuse for his strange absences from school functions — and to his Aunt May (Marisa Tomei), strange behavior in general — is that he’s got a Stark internship. But when he finds himself on the trail of a group of thieves whose alien-like tech hardware suggests a more elaborately organized and sophisticated criminal operation, Parker’s earnest-if-reckless vigilantism threatens even his relationship with Stark, putting his desired future as an accepted superhero in jeopardy. 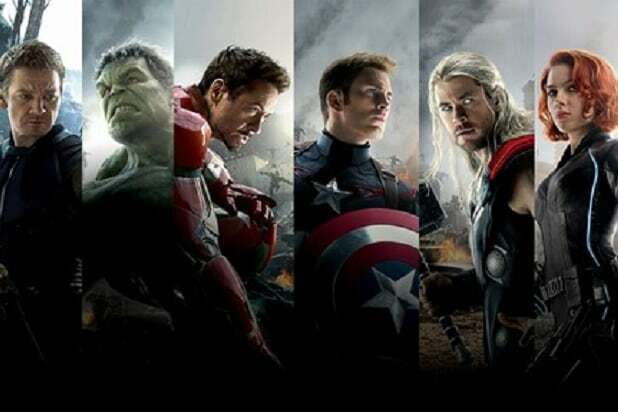 The less said about how Michael Keaton’s blue-collar villain fits into “Homecoming” the better, but his potency as the antagonist starts with the movie’s very first scene — set amidst the rubble of the clean-up following the events in “The Avengers” — and comes to a delightfully tense head in a car moment between him and Holland, after the movie has delivered a justifiably eye-opening twist. There are other small pleasures in the casting, including Zendaya as a hard-edged, politically minded decathlete, Martin Starr (“Silicon Valley”) as the team coach, and Donald Glover (“Atlanta”) as a sleepy-eyed criminal. As for Downey, Jr., his Stark gets shtickier with each pop-up; the defensively funny industrialist of “Iron Man” has curdled slightly into something resembling a smarmy agent with patter. (Chris Evans’ deployment this time around is funnier.) On the other hand, making a friendly, nostalgia-pandering appearance is Bob Harris’ Spider-Man cartoon theme from the 1960s, symphonically beefed-up as it plays over the title card.